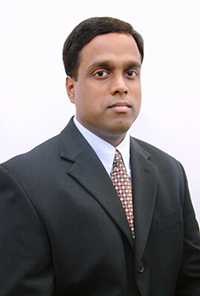 Sreedharan comes to Gammaflux from Husky Injection Molding Systems Pte. Ltd. in Singapore, where he worked for three years as a Technical Center Engineer and Service Engineer. In this position he was responsible for hot runner process troubleshooting and mold and machine trials. He is a 14-year veteran of the plastics industry where he has held a variety of positions in sales, processing and service for injection molded products, machinery and equipment. He holds a Bachelor’s Degree in Mechanical Engineering from Bangalore University in India. We are excited to be expanding in Asia to better support our customer base in this region,? said Chudoba. This is one of the world’s fastest growing areas for the plastics industry. Sasi Sreedharan’s experience will be a great asset for our customers. ?